Gravitational radiation results from the orbital motion of mass in space. 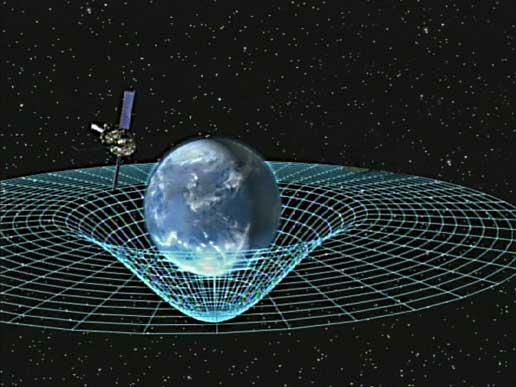 Albert Einstein predicted this in his Theory of General Relativity, which describes gravity as the spacetime curvature of matter. All mass can emanate gravitational radiation (even people,) but only the most massive astronomical objects can do so strongly enough to be detectable by current technology. Though born from cosmic cataclysm, such radiation only weakly interacts with matter across immense distances. Thus, it is extremely challenging to detect. The Advanced Laser Interferometry Gravitational Wave Observatory (LIGO) is co-located at two sites in Hanford, Washington and Livingston, Louisiana. LIGO detected a radiation signal on January 4th from a colliding pair of black holes three billion light-years away. They coalesced into a single hole, converting more than the Sun’s mass into gravitational radiation. LIGO detected the signal by measuring how its passage distorted the alignment of a perpendicular pair of laser beams 2.5 miles long. The detector’s remarkable size is necessary to capture the miniscule shift in spacetime (about a thousand times smaller than a proton.) This is LIGO’s third detection, after two earlier events in September and December of 2015. In Latin, the name Lucifer means "light-bringer." In kind, gravitational radiation is a new kind of illumination, promising new wonders to be rendered from the darkness visible above us. Western Slope Skies is produced by members of the Black Canyon Astronomical Society. This episode was written and recorded by Michael T. Williams.